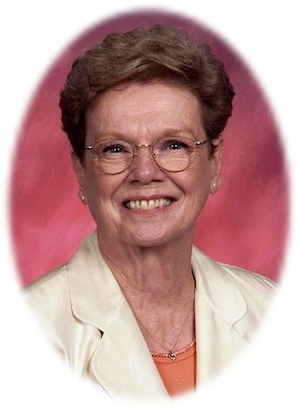 Obituary – Coker, Flora Zell (Davison) « Perry High School Alumni Association, Inc.
﻿Band ’58-’61; Christmas Vespers ’60-’61; Annual Staff ’60-’61; Glee Club ’60-’61; Office Staff ’60-’61; Singorama ’58-’60; All School Revue ’60-’61; Junior Play ’59-’60; English Assembly ’59-’60; Band Assembly ’60-’61; Home Ec. Assembly ’60-’61; Band Ensembles ’59-’60. Flora Zell Coker, 66, of Perry, Oklahoma, loving mother, grandmother and great-grandmother died Monday, November 30, 2009 at the Perry Memorial Hospital. She was born on August 23, 1943 in Pueblo, Colorado to Clyde and Anna Brown Davison. 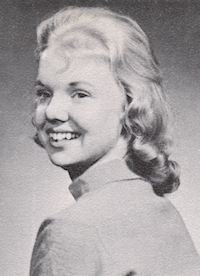 Flora Zell was a 1961 graduate of Perry High School. On March 10, 1961, she married Raymond Coker. She was a member of the First Christian Church, where she played the piano for over 40 years. Flora Zell was very active in her church. She served as a Sunday school teacher, youth director, choir director and especially enjoyed assisting the church ladies with the meals for the Rotary Club. Flora Zell and Raymond owned and operated, Coker Oil Company in Perry for over 10 years before selling the business in 1976. She also worked in the Noble County Court Clerk’s office for several years and as Youth Sports Director at the Noble County YMCA. Funeral services will be 10:00 a.m. Thursday, December 3, 2009 at the First Christian Church. Rev. Martin Foster will officiate. Interment will be in the Sample Cemetery in Lucien. Services are under the direction of Brown-Dugger Funeral Home in Perry. Memorials may be made to the First Christian Church in care of Brown-Dugger Funeral Home, 1010 N. 7th Street, Perry, Oklahoma 73077. She was preceded in death by her father, Clyde Davison, one infant brother, one infant nephew, Jay Dee Martin and one nephew, Jim Boone.